People enjoy when they feel part of something greater than themselves. Especially children, whose personality is still developing and who learn from all the people and situations that surround them. Dedicating a few hours a week to the practice of a collective sport helps to improve the confidence of children, but also allows them to make new friends, learn to forge relationships and spend that usual excess energy of their age. On the part of the parents, the motivation usually has to do with letting them learn a new sport, or simply keeping them entertained for a while. Bowling for children can be an excellent family evening or turn a birthday party into something much more fun. 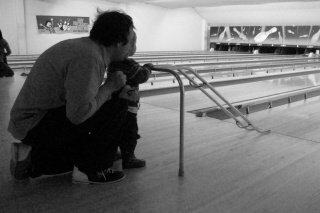 Here you will find a selection of useful tips for you to go bowling with your children safely and the most fun training activities that you can practice as a family. 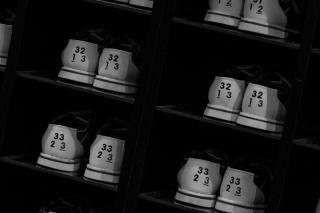 In normal bowling alleys, the smallest bowling shoes you can find are size 5/6 (22). Even so, we must bear in mind that, since 2014, children have permission to wear their usual shoes. When it comes to parents, they can also wear their every day shoes, as long as they are low-heeled and non-slip. Anyway, it is always advisable to buy some good shoes to play bowling, if you plan to practice this sport frequently. The lightest bowling ball you can find weighs around 6 pounds. These are the balls adapted to children. Depending on the age, you can ask at the bowling center for other heavier balls, which will be more effective in some cases. It all depends on your children's ability to hold the ball by themselves. 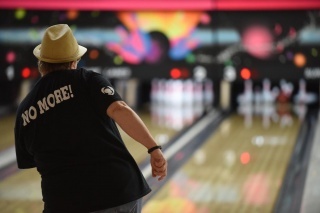 There are two accessories in the bowling alleys that can help children to have fun playing: ramps and bumpers. The ramps serve so that the children who can not throw by themselves with force manage to knock down the bowling without difficulty. They just have to put the ball on the highest part of the ramp and then drop it, that's as simple as that. 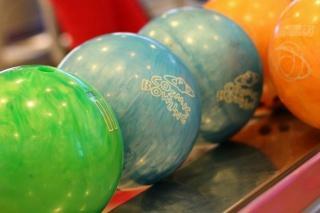 It is also not annoying for the bowling center, as they can be put on and taken off without problems. Other great equipment are bumpers, which are raised automatically when the children need them and then lower when they finish the race to throw. Make vertical bowling pins with plastic bowls: the most fun of this game will undoubtedly be the process of making the "bowls" from plastic cups that we have at home. You can decorate them to your liking and place them in different ways to see how they lie. As for the "ball" they can use, better avoid heavy or hard materials, to avoid possible damage to windows. Indoor Bottle Bowling: similar to the above, but using plastic water bottles. It is interesting to put the cap on the bottles and fill them to taste with water or sand, to give them some weight. Bowling with Skittles! Another variant of the previous games. Simply try to take rolls of toilet paper and fill them with Skittles ... then knock them down with rolled up socks!